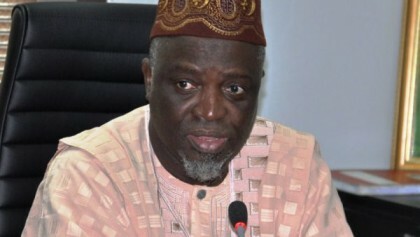 Registrar, Joint Admission and Matriculation Board (JAMB), has threatened to revoke the licence of Digital Bridge Institute (DIC) for not complying to its registration rules and regulations. According to him, the DIC is on wireless system as a result registration becomes very slow that candidates spent more time in the registration process. He said the centre was supposed to register 100 candidates at a time but it could only take 20. The registrar noted that other centres visited were not having any problems registering candidates except DIC. The candidates were also chanting protest songs but for the prompt intervention of the JAMB registrar peace was restored. However, the management of DIC attributed the delay to poor network, saying that the router could only take 20 candidates at a time. Meanwhile, JAMB said that over 800,000 candidates have registered since the sales of UTME form began on March 20. NAN reports that prospective candidates for the 2017 all Computer Based Testing (CBT) had urged the board to consider extending the registration period due to the multiple challenges being faced by candidates. They described the process as cumbersome, stressful and frustrating and as such, that there was need to extend the deadline in order to capture all.